The Awarewolfs held the 2nd Annual Costume Crit(erion) tonight behind the Air and Space Museum in Balboa Park. I showed up a bit late, so I didn’t see Bojac win the main race. Afterwards, we headed out for a late night ride through North Park, ending up at Pioneer Park. 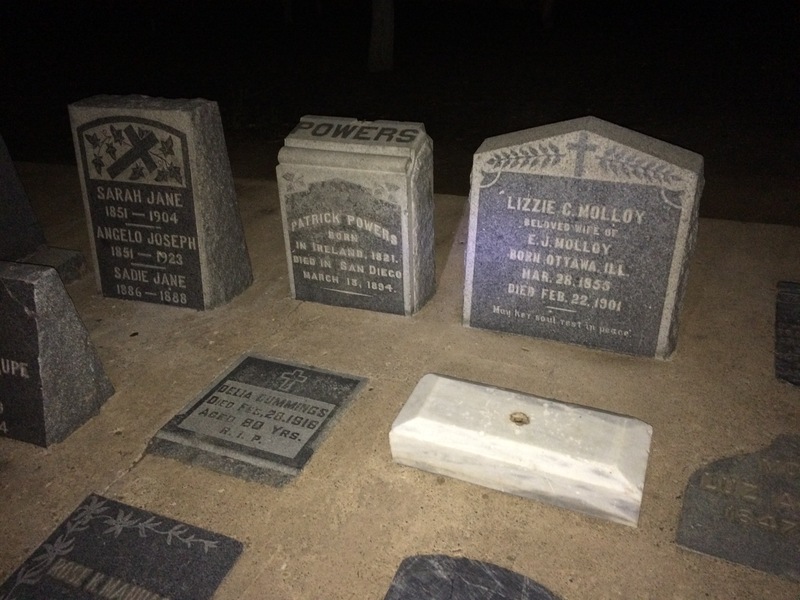 Appropriate for Halloween, it started out as the first cemetery in town, but is now used as a park (only a few headstones remain). I was on the bike all night, riding around and having fun. If there was ever a real-life Peter Pan experience, hanging out with the fixie crowd near midnight would be it.